Jenny Reitz, who runs House of Hope along with Linda, has requested that Friends of Humanity help provide the children with school supplies. School supplies such as paper and pens are scarce in Port-de-Paix. The children of House of Hope are among the few impoverished children who are able to attend school instead of working in the fields or begging in the streets of Port-de-Paix. 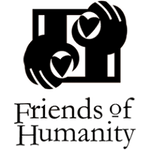 Friends of Humanity is sponsoring a Back To School Drive to provide school-age children with backpacks and school supplies. Children walk several miles to school so the backpacks enable them to carry their books and supplies. You can go to our Donate School Supplies page and choose what you want to donate toward. If would would prefer to make a donation of actual goods, please call Renel Noel, the president of Friends of Humanity, at 305-323-0937, or email board member Kathleen Monahan at kathleen(@)friendsofhumanity4haiti.org. A big Hello from the House of Hope. We hope this e-mail finds you doing well. We are doing well especially after enjoying a very nice summer vacation. We had lots of time for fun and games together. We particularly loved playing marbles, UNO, Phase 10 and Dominoes. We also love to do sports like Basketball and Soccer. We also had lots of time to learn together through various studies and a week of camp.